Last month in Toronto, the CCFL released its research report, The Case for Financial Literacy at a launch and consultation event sponsored by the TD Bank Group and attended by the Honourable Ted Menzies, Minister of State (Finance) who addressed the capacity crowd of diverse financial literacy stakeholders. While it is still too soon to make any definite claims in these areas without more research to explore the validity and extent of these effects, they do offer promising areas for further work. The panel discussion that followed featured Steve Teekens (Executive Director of the Native Men’s Residence), Jemmy Felix (Youth financial literacy facilitator), Sean Bulloch (financial literacy program participant) and Jen Robson, all of whom spoke eloquently about why financial literacy is so important. 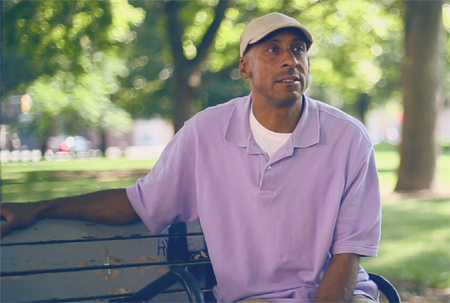 Over the last six years, SEDI’s Independent Living Account (ILA) program has supported hundreds of individuals to move from transitional to permanent housing through an innovative combination of financial education and incentivized savings that help shelter residents acquire the financial skills, habits and savings they need to transition successfully to independent living. This successful program was recently featured in the November issue of Policy Options, a magazine published by the Institute for Research on Public Policy (IRPP). Read the article, Saving all the way home. Grant guidelines and application forms are available for download at: http://www.sedi.org/grantfund. 2012 marks the final year of the Financial Literacy for Ontarians project, a three year capacity building project funded by the Ontario Trillium Foundation. The CCFL partnered with 15 sites across Ontario to enhance and build the capacity of community organizations to deliver financial literacy supports to Ontarians on an ongoing basis. Over the course of the project more than 200 staff from over 100 organizations participated in the CCFL’s train-the-trainer program. Key learnings and recommendations for financial literacy supports and needs related to remote and rural community-based organizations will be highlighted in the next edition of the newsletter. It is the end of an era as Barb Gosse leaves SEDI after 12 years at the helm of the Saving and Asset Building team. Joining SEDI at the outset of its landmark $30-million asset building demonstration project, learn$ave, Barb was one of Canada’s original asset-building pioneers. Building on the success of learn$ave, Barb went on to develop and pilot a broad array of other asset-building programs, including SEDI’s Independent Living Account (ILA) program, the START program for social housing residents, and IDAs for youth-in-care. Barb’s policy work also helped to inform key public asset-building initiatives as the Registered Disability Savings Plan, Canada Education Savings Grants and the RESP. Barb’s passion, leadership and innovation have helped transform the lives of thousands of low-income Canadians who have gone on to post-secondary education, launched their own businesses, transitioned successfully out of homeless shelters into permanent housing, or made a successful move from foster care to independence. While Barb will be sorely missed at SEDI and by the many champions of asset-building across Canada that she helped to enlist, support and mentor, we know that she will continue to have a transformative impact through her new role as Senior Director – Research, Policy and Innovation at the Canadian Women’s Foundation. We wish her the very best in her new role. A complete set of flexible tools is now available to help community organizations measure, report on, and improve the impact of their financial literacy programs. 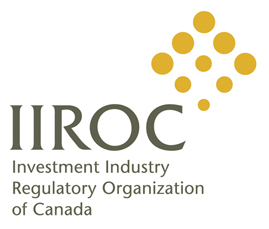 Developed with funding from IIROC (the Investment Industry Regulatory Organization of Canada), these tools are already making a big difference out in the field based on feedback from stakeholders. Tools can be accessed here. The CCFL has created an interactive online map of financial literacy programs, services and collaborative partnerships for low-income and vulnerable populations across Canada. The map is designed to inform and connect Canada’s growing community of financial literacy practitioners – regionally and nationally. A number of organizations have already added their programs since we launched the map in October 2012. We encourage you to share this valuable resource with others and to add your own programs here. The CCFL recently launched a financial literacy blog to provide timely commentary on financial literacy policy, practice, research and news relevant to groups serving low-income and vulnerable Canadians. Our latest post sheds light on why mainstream financial advice is often wrong for older low-income Canadians. We invite you to read, share and comment here. The Black Creek Financial Action Network (BCFAN) is an 18-member network co-established by the Jane/Finch Community and Family Centre and the York University – TD Community Engagement Centre to shift the financial literacy conversation in ways that value the voices and validate the experiences of economically marginalized groups. The BCFAN coordinates community advocacy on financial issues and knowledge sharing on effective financial literacy practices. BCFCAN identifies and evaluates financial programs and services and provides opportunities for York University students to engage in hands-on learning and collaborative, responsive community research. Recent BCFAN activities include facilitating a program of neighbourhood events for Credit Education Week, including workshops and outreach events on topics such as Debt Solutions, Money Management and Financing Post-Secondary Education: How to Graduate with as Little Debt as Possible. The organization also hosted a CCFL financial literacy training session for 12 partner agencies. Future BCFAN projects will involve strengthening the network’s collaborations with local financial institutions to build mutual capacity and to find more effective and fair ways to serve low income people. This innovative network meets on the last Friday of every second month. For more details, please contact Roxana Zuleta (roxanaz@janefinchcentre.org) or Sue Levesque (yorkcec@yorku.ca). In December 2010, the Community Sector Council Newfoundland and Labrador (CSC) embarked on MONEY (Many Opportunities Not Experienced Yet), a project to expand the array and delivery of financial management information and services for people in Newfoundland who face economic disadvantages. The project kicked off with a review of literature but more significantly local community-based research to identify the unique financial needs and challenges faced by community members. Through collaboration with individuals, community groups, government and professionals, the CSC was able to identify existing services, gaps, barriers and promising practices for financial literacy in the province. In partnership with Credit Counselling Services Newfoundland and Labrador, based on the research findings, the CSC was able to pilot new ways of delivering financial literacy, including creating a tailored curriculum, piloting a two-day train-the- trainer workshop. This was delivered in both an urban and rural setting. Two topics “How to make the Supermarket Work for you” and “Managing Credit and Debt” were offered through webinars and telephone conference to provide province wide access. An exciting toll-free warm line was piloted which led to a full-fledged information line. Finally information was crafted particularly for delivery to youth. Resources created during the project – a train-the-trainer manual, best practice guidelines for delivering financial literacy programs, and a webinar – can be found at http://communitysector.nl.ca/money. The MONEY financial literacy project was funded by the TD Financial Literacy Grant Fund. The Fund provides grants to charitable and non-profit organizations that support and promote financial literacy for low income and economically disadvantaged people in Canada. In 2009, the CCFL and the RBC Foundation launched a joint project to build the capacity of community organizations to deliver financial literacy education to newcomers and Aboriginal people. The CCFL partnered with 10 community organizations across Canada to host free facilitator training workshops from 2009 to 2012. Facilitators from organizations serving First Nations, Métis and Inuit peoples, and from organizations serving newcomers, were trained in financial literacy facilitation and went on to deliver financial literacy supports to 1,749 program participants. The CCFL trained 154 staff and volunteers from 56 community organizations across the country as financial literacy facilitators. A study sample of over 60 facilitators indicated that the training and access to resources that they received through this project led to a considerable increase in their capacity to deliver financial literacy supports to their participant groups. While 82% said they were new to financial literacy prior to training, 98% said they were ready to deliver financial literacy supports after training. A study sample of over 300 participants identified significant positive changes in skills, confidence, attitude and behaviours related to financial literacy. Tailored curriculum and delivery models are required to make community financial literacy supports more relevant and accessible to participants. Monitoring and evaluation of financial literacy activity in community organizations is challenging, in part because financial literacy supports are delivered in a wide variety of contexts and because effective evaluation usually requires a significant amount of time and resources. Community organizations would benefit from ongoing access to information resources and help developing practitioner networks. Together, these would improve their capacity to deliver financial literacy supports and make them more effective as community resource links. We would like to thank all the organizations that partnered with the CCFL to deliver financial literacy within their communities, and the RBC Foundation for their generous funding. To learn more about the RBC Financial Literacy Project for Newcomers and Aboriginal Peoples, please contact us at info@theccfl.ca. Payday lending is a financial service outside the traditional regulated banking system. Low-income and vulnerable consumers may turn to payday lenders because they lack better options at traditional financial institutions. Here’s a roundup of some recent resources and reports on the practice of payday lending. Seeking to understand the effects of payday lending on people who use payday loans, the United Way of London & Middlesex released a research report in May 2012 on payday lending practices in the region. Many participants in the study identified a need for alternatives, including calls for a community-wide financial education program in London. The full research report is available online. In Canada, payday loans sit in a legislative context where they are regulated by the province. Many advocates would like to see those regulations go further. This summer, the PBS TV program Need to Know looked at a community initiative to cap payday loan rates in the state of Missouri and the debate that ensued. Watch it here. For more information on payday loans, read the Financial Consumer Agency of Canada publication for consumers: Payday Loans: An Expensive Way To Borrow. If you would like to share success stories and information on events related to the work your organization is doing in the area of financial literacy and asset building, please contact info@sedi.org. Join the SEDI Community on Facebook!